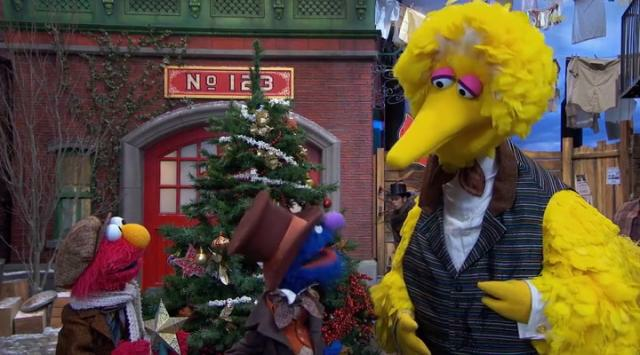 Elmo's ancestor moves to Sesame Street just before Christmas and is surprised by how rude everyone is - so mean that Santa never visits. He makes a "friend" by declaring that a girl who stole his ball can keep it as a gift, and that act of selfless kindness starts a chain reaction. A magical shop appears on the street with a woman named Bella who's keeping track of the holiday spirit, and she encourages the characters to keep trying to win over others. Her companion Holly tracks the kindness level with a series of lights which gives the writers a chance to wedge in some counting lessons. More and more familiar characters arrive and either help spread cheer and kindness or at least have a change of heart and join in once the ball is rolling. I especially liked Grover the junk salesman and the sideburns and mustache on old-fashioned Ernie and Bert. A surprise cameo from Audra McDonald didn't hurt either. The story is interrupted several times by Elmo asking questions in the present. This was only a little distracting for us, and it's probably helpful to establish the story-within-a-story conceit several times to ensure that younger viewers are following. The final act of kindness that tips the scales and cements Sesame Street as a place worthy of Santa's visit and the home of goodwill toward all is Cookie Monster (a chef in this time) sharing his cookies, hence the tradition of sharing cookies with Santa. Overall the special is sweet and funny enough that we felt okay about the future of Sesame Street. 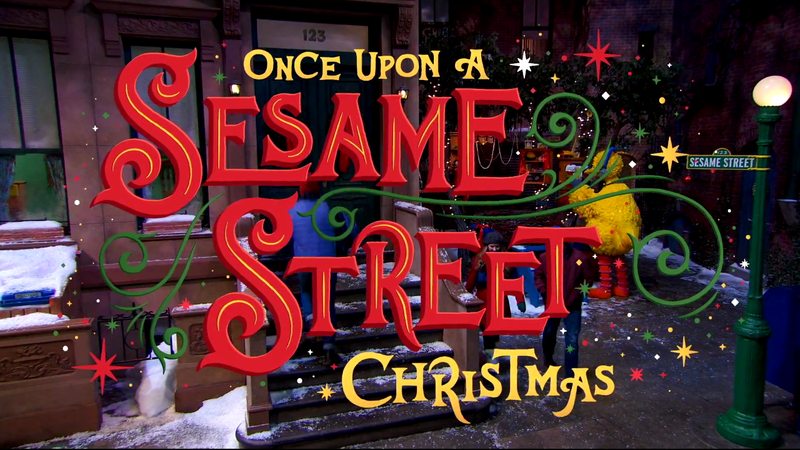 However, the version we saw was the version that aired this year on PBS. It included two bonus shorts at the end, and the shorts might have been our favorite parts! First, in "H is for Holiday," six real kids from different cultures describe their favorite holidays, not limited to the winter. So we're establishing the Korean Harvest Moon Festival, Diwali, Chinese New Year, Rosh Hashanah, Eid, and, yes, Christmas. It's framed that the kids are all friends, and the takeaway is supposed to be that even if we celebrate different holidays, we care about each other and sometimes we can celebrate together. It's just so dang genuine and hopeful. Second, Elmo, Abby, a Honker, a Dinger, and a bunch of other Muppets (snowball, bell, penguin, chicken, horse) sing Jingle Bells. It was hilarious and extremely Muppety. If you're looking for some new Sesame Street holiday content, or you have kids who are confused by the lack of modern characters in Christmas Eve on Sesame Street, this is a decent special to have on hand.